Each oak tree has both male and female reproductive structures on the same tree. 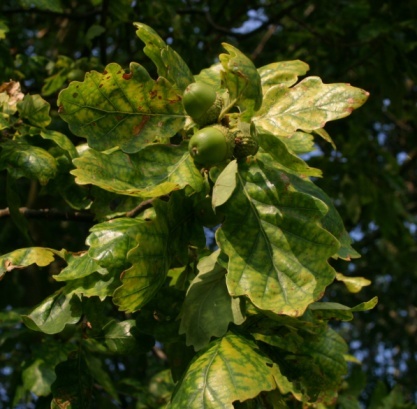 This allows an individual oak tree to produce large quantities of acorns by itself. These acorns are collected by wildlife such as squirrels or raccoons for food. The seeds sprout easily wherever they fall, or are buried by foraging wildlife. They may not be in places where you want them to grow, such as the base of your established oak tree or in the middle of your lawn. In appearance oak tree saplings are thinner than a pencil, and have upright growth and full-sized leaves. Oak tree seeds are known as acorns. Grasp oak saplings with both hands and pull them up. This method works best for saplings that are less than 1 inch in diameter and present in limited quantities in the soil. Fold a sheet of UV stabilized plastic so that it is three sheets thick. Stretch the three sheets over the sapling weeds and anchor the plastic at the corners with plastic landscaping stakes. The plastic should extend 5 feet past the infestation of oak seedlings on all sides. Leave the plastic in position for two years. The plastic will kill everything beneath it, including the oak seedlings. Mow over seedlings with a lawn mower or brush cutter. You must mow stands of oak seedlings at least three times in a year over a five-year span to completely kill them out. Mowing oak seedlings interrupts the plant's ability to photosynthesize. Select a pre-mixed glyphosate herbicide in a spray bottle such as Roundup, Buccaneer or Duramax. Pre-mixed herbicides are designed to spot-treat individual saplings. The chemical is designed so that the sapling will pull the herbicide down to the roots and destroy all parts of the plant. Spray the herbicide directly onto the seedling until the entire plant is saturated. The sapling's foliage will turn brown and the plant will die. 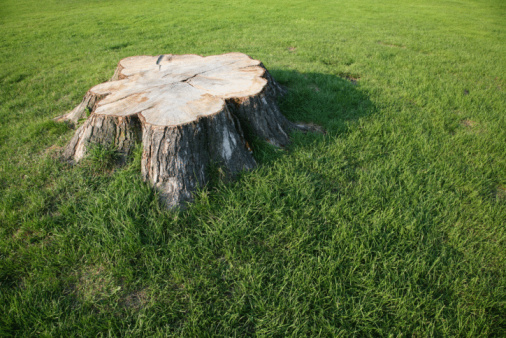 Dispose of the seedling by cutting it down and discarding it. How Long Do Oak Trees Live?